MyFamily shuttered: Ancestry.com deleted 10 years’ of my family history. When Ancestry.com shuttered its social network for relatives, it erased 10 years’ worth of my family’s correspondence and memories. 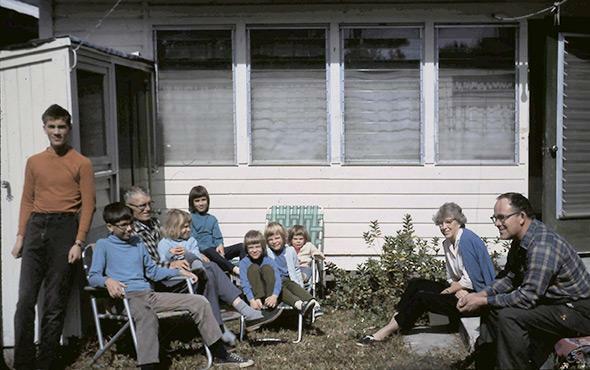 The author’s aunts and uncles in Florida in the mid-’60s. Around the year 2007, just after Thanksgiving, my grandmother noticed a tiny seed near the faucet of her kitchen sink that had somehow, implausibly, sprouted. Intrigued, she and my grandfather planted the seed in a foam cup of potting soil. 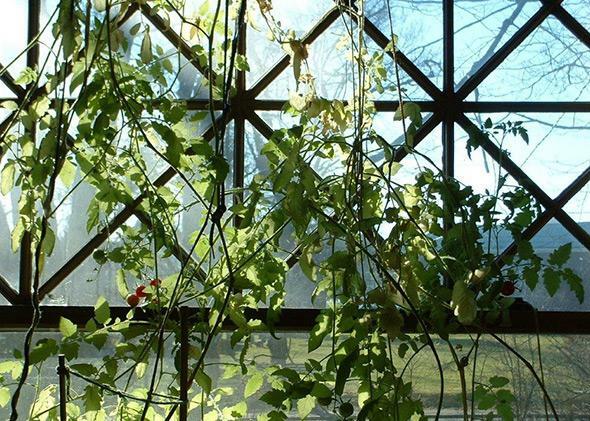 It grew the telltale fuzzy leaves of a baby tomato plant, so they christened it Tom the Tomato, transplanted it into a one-gallon milk jug with the top cut off, and left it to grow in the sunny dining room of the stately Victorian home where they had lived since 1957. Tom thrived, even producing cherry tomatoes, and eventually reached the ceiling, where they anchored him with string. My grandmother pollinated him with a tiny artist’s brush. I followed the life of Tom the Tomato on MyFamily.com, a social network for extended families launched by Ancestry.com in 1998. The Christian family is large, and when my aunt Amy signed up for MyFamily in the early 2000s, well before Facebook, it swiftly became the place my relatives went to communicate—and, not incidentally, to create a record of family history that would previously have been stored in old letters or emails. There were posts about trips, jobs, and a pet turtle that escaped and was finally found down the street in a slow-motion bid for freedom. My younger cousin got in trouble with the police, ran away from home, and eventually cleaned up his act. People were born, got married and divorced, grew ill and died. In the summer of 2014, Ancestry announced that it was shutting down MyFamily. It was OK, the company said, because we’d be able to export all the “family memories” we’d posted over the years. Ancestry community manager Cara Longpre promised in a post that “photos will be exported as .jpeg files, videos will be exported in the file format used to upload them, and discussion details will be exported as .txt files.” The site would close down for good in September 2014. My aunt Amy, who was always the account administrator, had no reason not to trust Ancestry’s promise to export our data. So after she downloaded the 748-megabyte zip file that putatively contained our collected correspondence, she just let it sit on her computer. She was busy, after all: She runs an independent agricultural journal, stays active in the community, and had a kid headed off to college. So when she finally opened the archive, a few months after MyFamily had gone to the great digital hereafter, she was horrified to find nothing but photos. More than a decade of written correspondence was missing. That’s why Ancestry’s decision not to give back the data still doesn’t make sense to me. It was certainly possible to export it properly; one of MyFamily’s competitors, Spokt, smelled opportunity when the closure was announced and built its own tool to scrape MyFamily data—including the discussions that my and other families lost—for a $69 flat fee. The problem was that you had to sign up for Spokt’s service while MyFamily was still live; it didn’t work for those of us who realized that our family memories had been erased only after the site was shuttered. A former MyFamily software engineer told me that he was forced to preserve his own family discussions by manually saving every page of discussions as a PDF, a task he finished the last day before the site went dark. If I’d known we were going to lose our own records, I would have done the same. Moreover, why not make an effort to warn users? My best guess is that Ancestry intended to export the data properly, hit a technical snag, and made the cynical decision to not follow through, in the hopes that nobody would call the company out on it. The tragedy is that without a written record, memory is transient—and lost forever to the dead. Tom the Tomato eventually withered up and died, and my grandfather passed away a year or two later. My grandmother, an avid Wikipedian with exceptional recall, told me that she’d tried to remember important MyFamily posts to tell me about for this article. She was alarmed by the degree to which the memories had already started to fade.